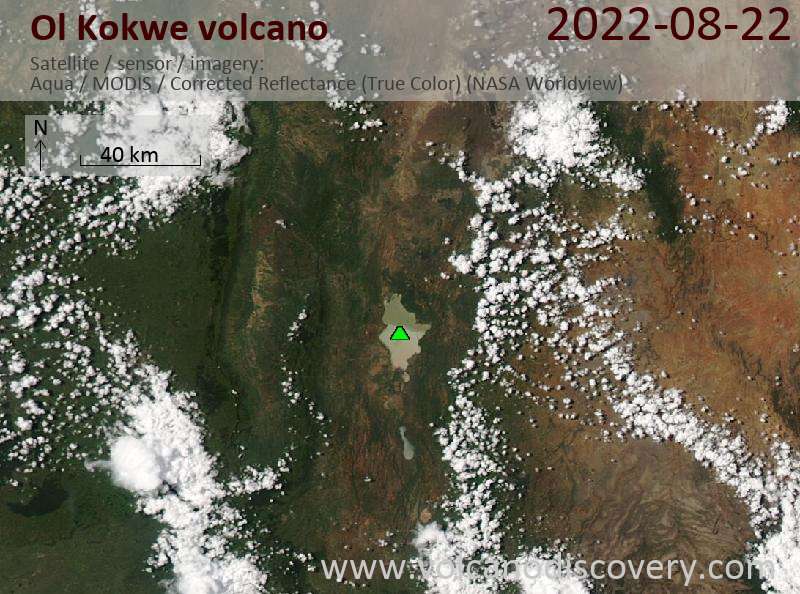 The elongated Ol Kokwe Island in the center of Lake Baringo SW of Korosi volcano consists of young basaltic scoria cones that cap a trachytic shield volcano. The volcano is the smallest in the northern part of the Kenya rift valley. N-S-trending faults cut the complex, producing west-facing scarps. Smaller islands to the north and south are faulted basaltic lava flows; Parmalok Island to the SW is a breached trachytic tuff cone that fed a small lava flow.  The latest eruptive activity at Ol Kokwe was estimated to have occurred within the past thousand years (Smith 1991, pers. comm.). Hot springs, boiling mud pools, and fumaroles are present along the faults on the NE peninsula of the island and are frequently visited by tourists.